These cucumber pickles have a classic deli dill flavor and crunch. They are ready to eat in just a few days, but if you can manage to wait a week or two, they will be even better. The key to success with this simple recipe is to choose small, firm cucumbers with hardly any seeds. Kirbys are a traditional pickling cuke, but even with them be careful to choose solid-feeling cucumbers. Cut a thin sliver off of the end of the cucumber that had the flower (opposite the stem end - if you're unsure, cut a thin sliver off of both ends). The reason for this is that the blossom end of the cucumber contains enzymes that can result in a mushy pickle. Leave the cucumbers whole if they are small, or cut lengthwise into spears. Bring the water, vinegar, salt, and sugar to a boil, stirring once or twice to dissolve the salt and sugar. Let cool to room temperature (you can speed this up by putting the brine into your refrigerator). Place the garlic cloves and one of the grape leaves, if using, into the bottom of a clean glass quart jar or a couple of pint-sized jars. 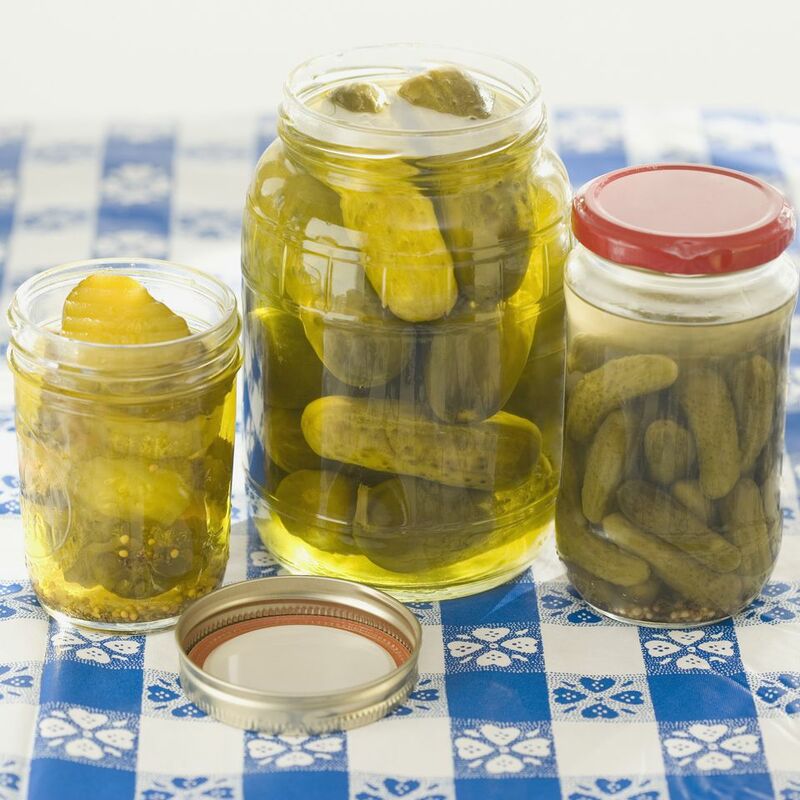 Note that because these are refrigerator pickles that will not be canned, you do not need to use special canning jars or lids. You also do not need to sterilize the jars. Pack the whole cucumbers or spears into the jar(s) vertically, adding the remaining spices and herbs as you do so. Be sure to pack the cucumbers in tightly so that they will not float up out of the brine. Pour the cooled brine into the jar(s) over the other ingredients, being sure to completely cover the cucumbers with the liquid. Secure lids, and place in the refrigerator. The pickles will be ready to eat in 4 days, much better if you wait a week, and even better if you can wait 2 weeks before sampling. They will keep in the refrigerator for 3-4 months but will start to lose their crunch after that.